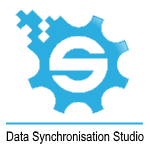 Choose Data Synchronisation Studio for your Data Integration and Migration projects. Connect SQL Databases, Flat files, Dynamics CRM, SharePoint and more. Easily setup Data mappings between your systems and schedule automated execution via Ouvvi for reliable fast data integration processes. Data Synchronisation Studio provides a stand-alone platform for Data Import/Export and Synchronisation. Data Sync works with your Data in Sets rather than the traditional message workflow approach. Enabling a fast and easy to setup Sync and Reconciliation process that can be configured in just a few minutes. Ouvvi manages the Data-to-Day operations and ensures that all your processes are run automatically and errors logs centrally. Data Sync supports connections to many different systems, SQL Databases, ODBC, OleDB, Microsoft SharePoint Server, Microsoft Dynamics CRM, Microsoft Exchange, Podio, Active Directory, XML, CSV, TXT, Azure, Amazon S3, Odata. You can build custom Data Providers for other systems via the Connector SDK. Easily and Quickly Import and Export data from a variety of Data sources. Use the Import and Export functionality to convert data into different formats. Supports many different systems SharePoint, Dynamics CRM, MS SQL Server, ODBC, OleDB, Podio, Exchange Server, CSV, XML, OData and many more.